I use a medium format camera and develop my film by hand. 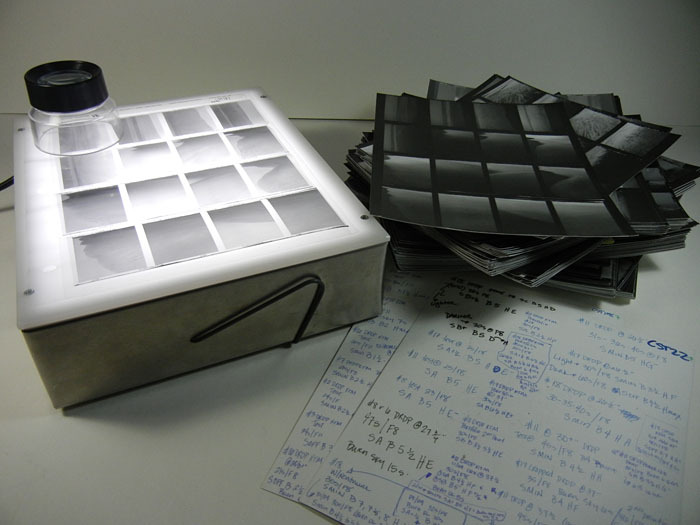 My photographs are produced in a traditional wet darkroom. When hand coloring, I usually use colored pencils, sometimes I use oil paint, but I always use patience. 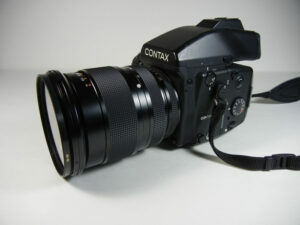 This is my camera, a Contax 645. I switched to medium format (from 35mm) about thirteen years ago. It’s a gorgeous camera – a bit on the heavy side weighing in at 6 pounds with this lens – and it is no longer made. I bought this one on eBay, where us analog users flock to these days to get our equipment. 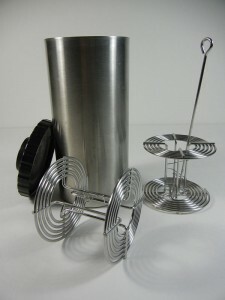 I develop my film in this stainless steel tank, two rolls at a time. 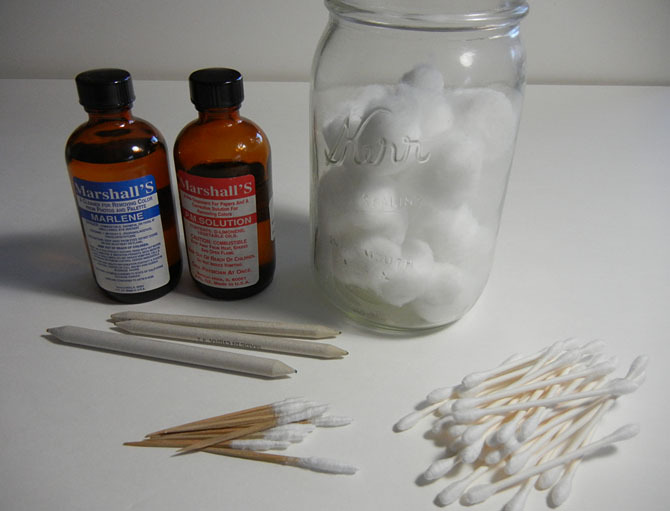 The process – soak, develop, stop, fix, wash – takes about twenty-five minutes. I hang the film to air dry in a closet and do my best to forget about it for a few hours. 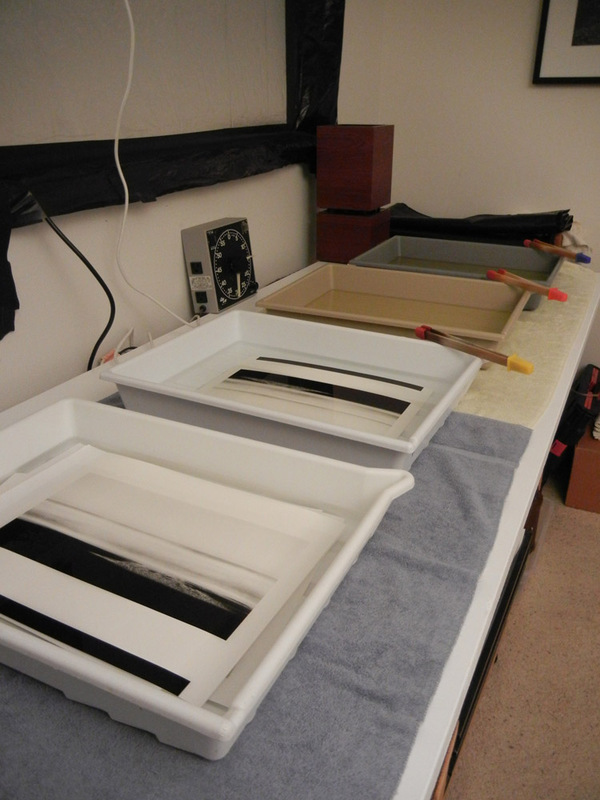 After drying, I cut the rolls into strips and ready them for contact sheets. A roll of 120 film gives 16 exposures for a 645 camera like mine. Although I used to burn through film like mad in the past, I’m more selective about what I shoot these days. I like to think it’s because I’m more confident when I shoot, but maybe I’m just being cheap and lazy. My contact sheets are very important to me. 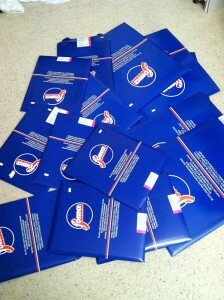 On the back of each one, I record all of the developing data for the selected images. Exposure, aperture setting, image size, filters, burning, dodging, enlarger, paper, and developer. Never mind that this data seems to change every other time I print. Just never mind. 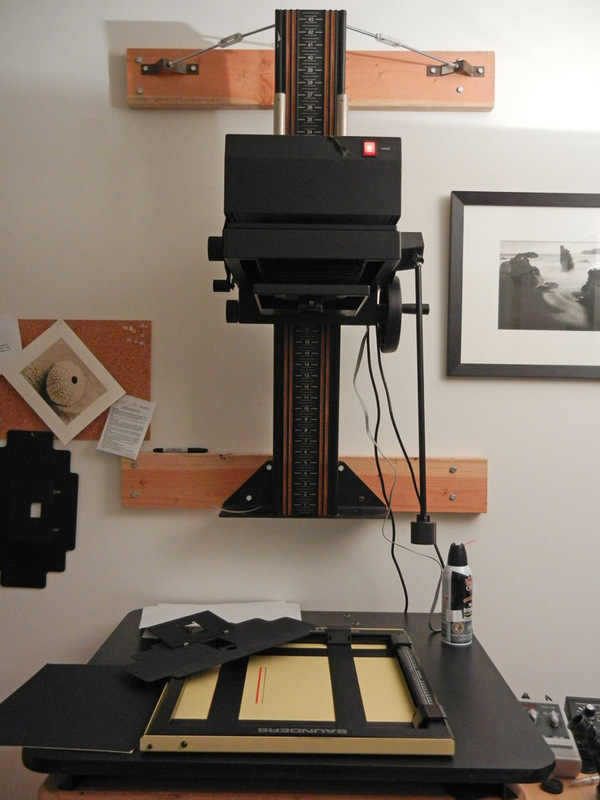 This is my enlarger, a Zone VI, that I bought on, you guessed it, eBay, about ten years ago. It is a hunk and I feel so fortunate to have one in my possession. You can’t use it so don’t ask. This is the paper I use, Fomabrom Variant IV 123. Every year the factory, located in the Czech Republic, closes down during the month of August for a holiday. Speaking from experience, keep this in mind should you want to order some. My darkroom at this time is makeshift but you won’t hear me complain about it, publicly. I process here, then carry the wash tray downstairs to the garage where I have my washing sink. It can be precarious at times, especially when I have my two overly excited German Shepherds at my heels as I maneuver down the stairs holding steady on to a 16×20″ tray, but so far no accidents have occurred. After the prints are washed, I place them on screens to air dry. Being fiber based, they curl when dried, so I flatten them in a dry mount press on low heat by lightly dampening the back. 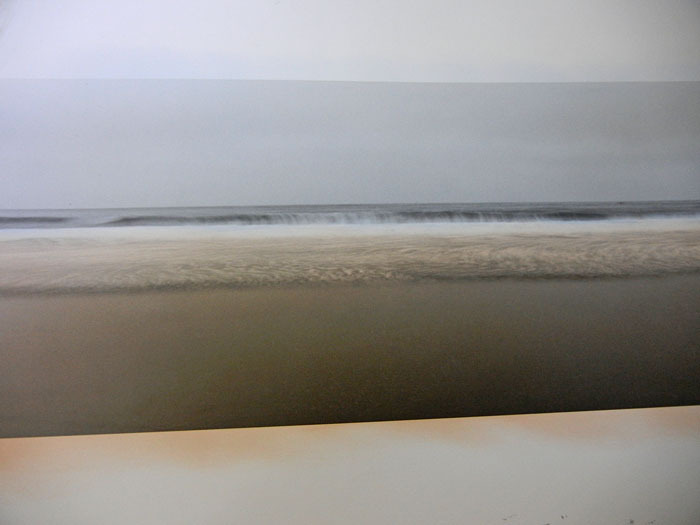 This can sometimes backfire (causing the print to wrinkle), which means the print will have to be rewashed and the process repeated. Not every image I print makes it past my print edit. 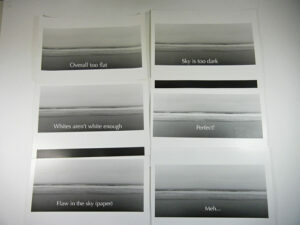 I tend to vary my development times, contrast, etc, to see different results when I’m printing. I’m always looking to see if I can make it better than the last time I printed it. It’s a bad habit, but common among photographers, I’m sure. Aside from that, there are paper flaws to look for and the occasional dent or crease in the paper that will send the print straight into the recycle bin. The paper I use is key to hand coloring, which is why I don’t mind the factory taking the entire month of August off – as long as they don’t stop making it, because it is the only paper currently available with this fine grained mat surface. This photo is a close up of the surface, in case you’re confused. 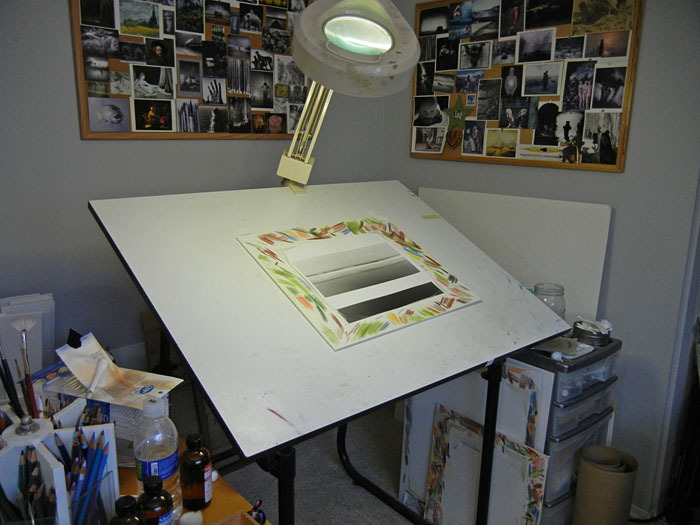 Not all of my prints are hand colored, but the ones that do end up here, at my easel. These are the supplies I use for coloring. The top photo is of the two solutions – PM solution for blending color and Marlene for removing color – and both come with stern warning labels due to their noxious fumes. 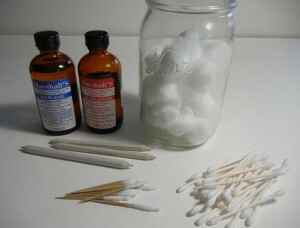 The cotton, cotton swabs, etc, are used for blending. The other photo is my collection of various colored pencils. 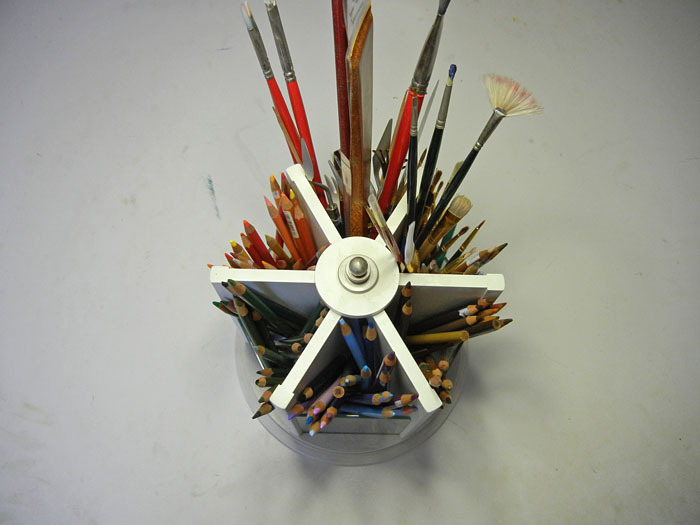 Most are Prismacolor as Marshall colored pencils, made specifically for hand coloring photos, are more difficult to find. 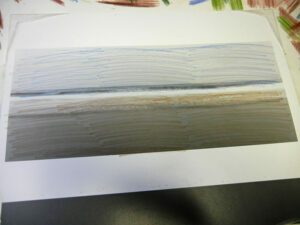 The print is first coated with a very thin layer of PM solution. Then I will apply the base colors. With cotton, I blend the colors. I will then add more color, blend it, and remove color, blend it, then add color, blend it, then remove color, until I get the effect I’m looking for. I am always asked how long it takes me to color a print. I don’t time myself; I never have. I do know, by the direction of the sun through the windows, that some take hours, some take all day into the next, and some can be finished within a playlist. 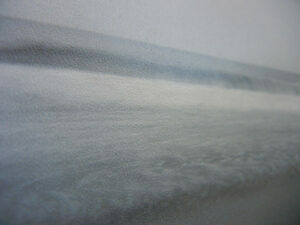 When the print is finished, I let it rest for a few days as the PM solution needs time to dry. Then I will spray it with a UV protectant. When dried, the color is permanent and it’s safe enough to rub a cloth over it to remove any cotton residue. I do all of my own matting and framing, using archival materials in every step. 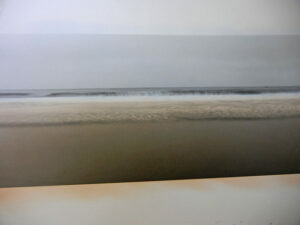 The prints are attached to the backing with photo corners and can be removed should one ever want to re-mat them. 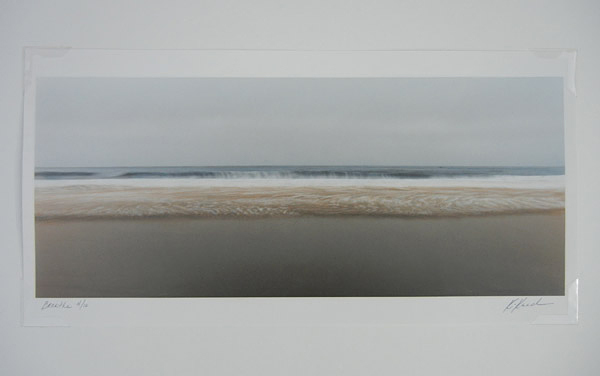 All of my prints are titled, numbered and signed on the front; the mat covers this by default. On request, I can sign and title the mat.